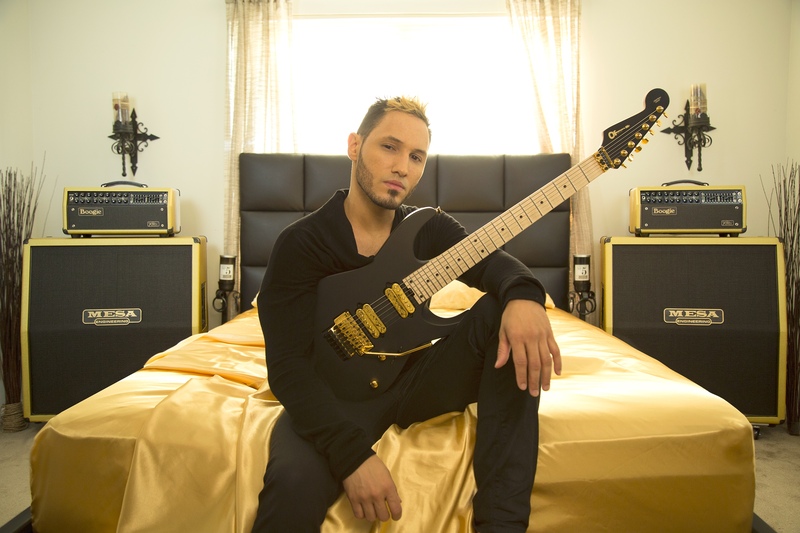 The Gauntlet - ANGEL VIVALDI Releases album conceptualization video for "Snapse"
ANGEL VIVALDI Releases album conceptualization video for "Snapse"
Angel Vivaldi's much-anticipated. new conceptual opus, Synapse, is now officially set for an Oct 6th release. With this new effort, Vivaldi now essentially cements himself alongside the guitar greats (Vai, Satriani, Petrucci, etc). If you are a fan of progressive, guitar-based hard rock, then this album is a must for you. Stay tuned for a HUGE announcement to be made within the next two weeks! Synapse "The Album Conceptualization" Video can be viewed here. Synapse consists of eight songs, each written for a specific brain chemical, which incites a different emotion. For full immersion, the studio was painted eight times during the writing of each individual song in its associated color. The album's eye-popping, vibrant artwork can be viewed here. A captivating, new music video for the track, "Dopamine," featuring Oli Hebert from All That Remains, can be viewed below.